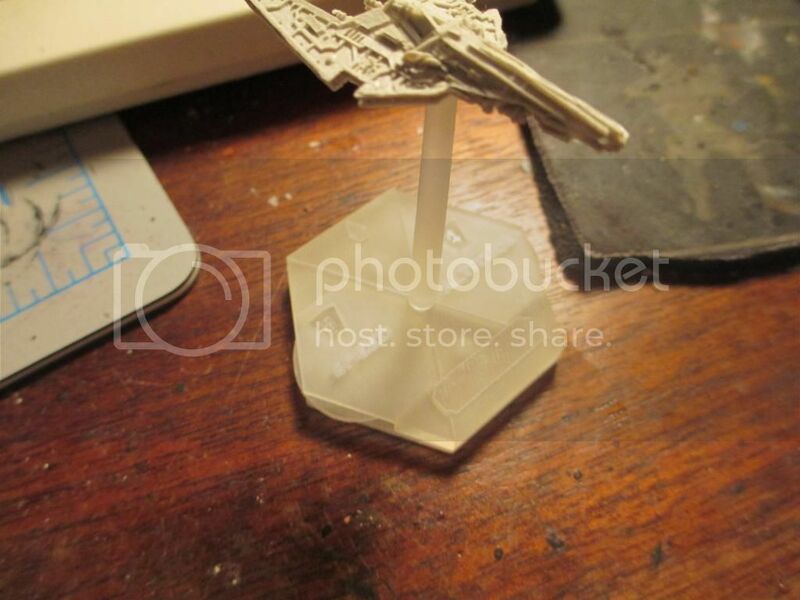 Resin Addict Forum • View topic - AI flying base. I've been getting into aeronautica imperiailis lately and needed flying bases. So i made some, here is the first cast. Some detail i added is the two firing zones needed, rear and forward, and then an arrow to point in the direction the miniature is moving. I use d10 as my altitude and thrust, but thought the open space could be marked for kills, are numbers to match the ones on actual aircraft. Nice work! I want to see a version with the dials and stuff next! mangozac wrote: Nice work! I want to see a version with the dials and stuff next! I'll have to think how i'll do that in the future, this was an easy half hours worth of tinkering and a simple split mould... which i'm getting a ton better at by the way. A multi-part base with the dials shouldn't be too difficult. I think you're more than capable of making one! Blindhorizon wrote: I'll have to think how i'll do that in the future, this was an easy half hours worth of tinkering and a simple split mould... which i'm getting a ton better at by the way. Great to hear! I was talking to Horizon recently and he said he was quite impressed with some casts that he got from you! Ah yes I did send him some miniatures he won them in gothicomp. I'm very happy he liked them, that would be the first item I cast on my own in a 2 part mold. I'm fine tuning my split moulding and mould box making. Good stuff will come in the future. And I finally started on those vessels from you Blindhorizon, well, they are ground coated. Hopefully I can finish them before end of august (gothicomp). I still need to decide on the colour scheme. I did finish 14 vessels last week who were waiting on the last paint. They waited more then half a year. Among them a Zeus prow. Gets me back on track, with hopefully some Kraken's from Wintermans done as well. But I need small flying bases. A lot. I cheated man, Armand saw what i was trying to do and offered to work with me on 3D designing one. Myself and armand decided to do a joint venture of working on 3d designing and printing a flying base with dials and altitude and speed on it. We made some changes from current style of bases to some things we thought would be user friendly and add just that little extra. First thing we added which isn't much but is a nameplate at the rear of the base. You now have a section to write your pilots name on or you can mark the planes kills as it progresses to becoming an ace. 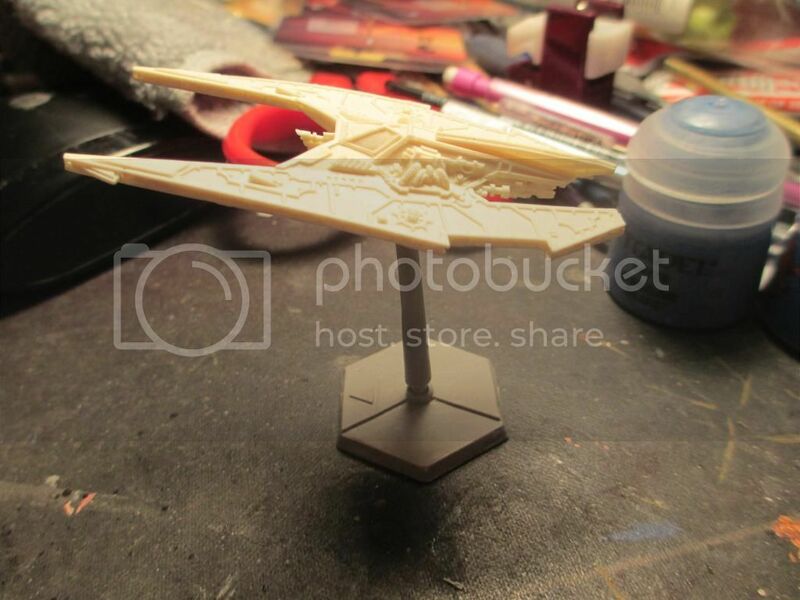 Having used flight stands before i know the pain of the fragile connection point to the miniature and having the peg snap, magnetizing is the way to go to keep your flight stands viable and not worry about your miniatures being glued back onto them. We decided to create a flight stand cup, it slots on the top of the flight stand and can be glued to it. 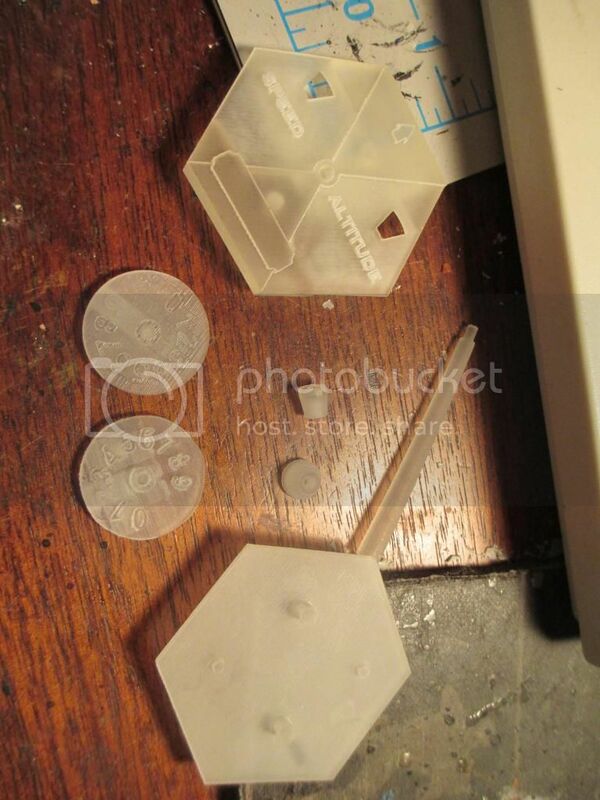 We have made 2 sizes, both are 2mm deep, 1 is 3mm wide the other is 5mm wide so you can slot a magnet into it flush. Hmm, have you been able to convince Armand to do some more Aeronautica Imperialis stuff? I mean, he can already do ships, but how about aircraft? Very cool Blind (and Armand, if you're reading this)! It looks great! 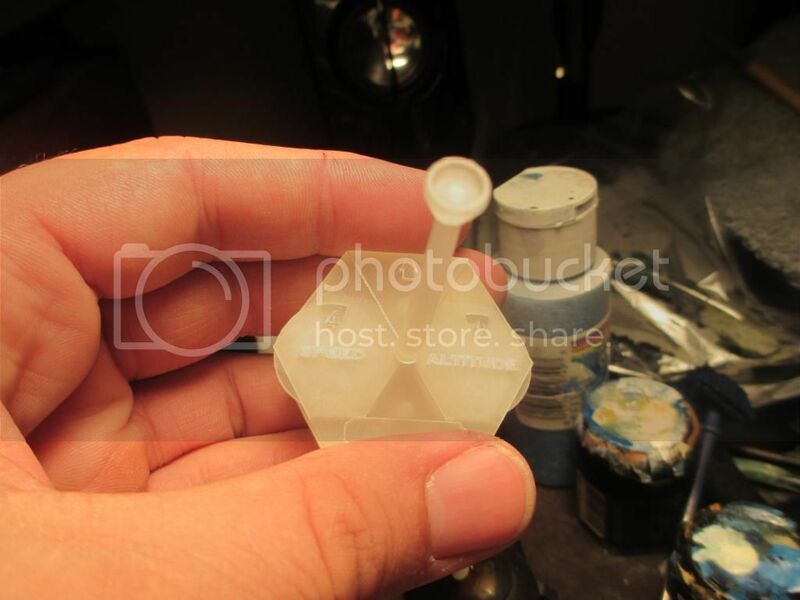 Are you going to do some priming and filling prior to moulding (to minimise the 3D print texture)? 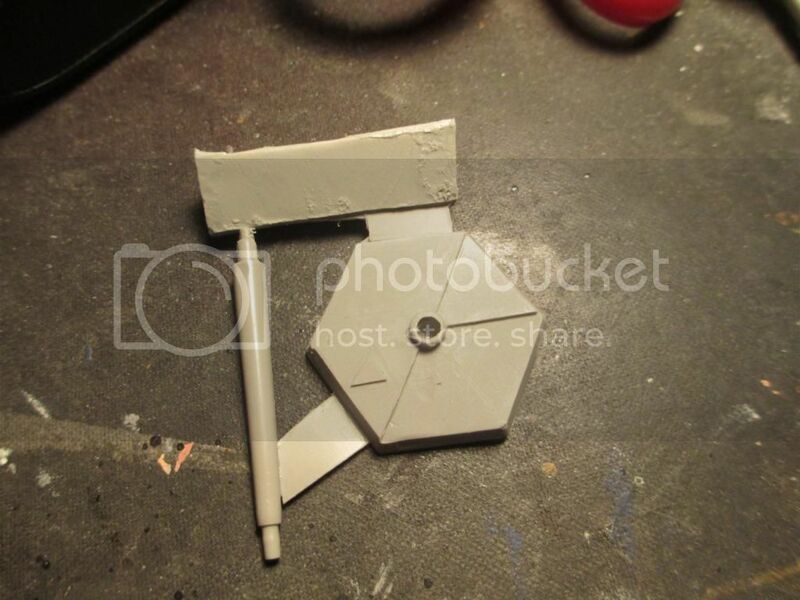 Hmm, an nice and easy tutorial on priming/filling a 3d printed model would be pretty awesome. Sort of for starters and all that.